Well, another year has past and it's my favourite time of year again with autumn where the colour of the leaves change into a glorious range of reds, oranges and yellows. Definitely, the spookiest and gothic day of Halloween approaches. For the last few weeks, all I have heard swirling around in my head is The Broken peaches. It's a fantastic rendition and I love the costumes. As we all know this means the shops stock gorgeous home decor. 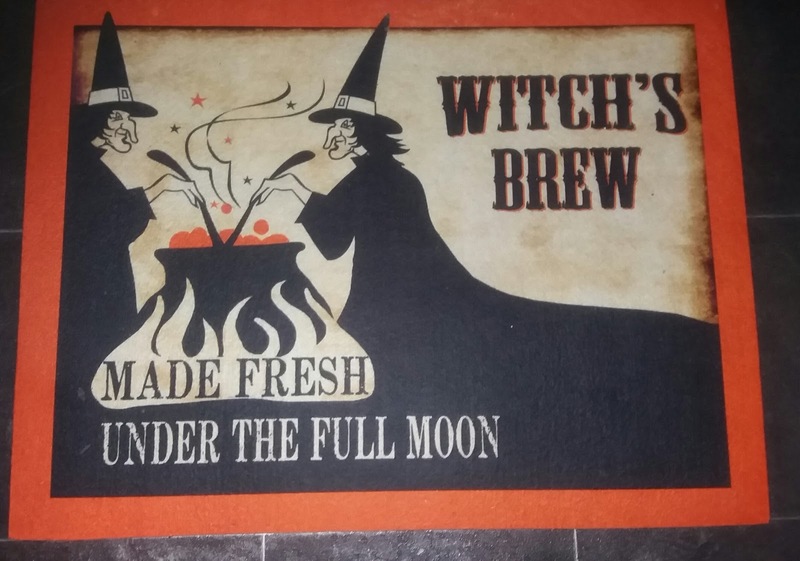 I've started shopping in mid-August, with Tk Maxx, he homes sense, stocking an array of spooky goodies. 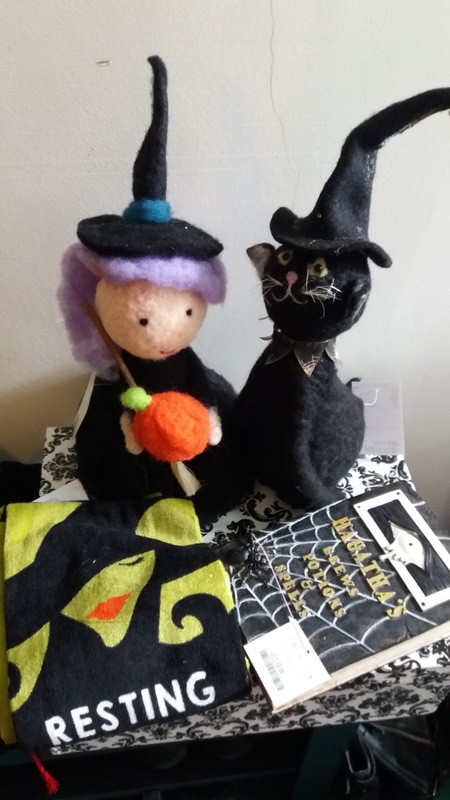 I've mainly got purchased most of my Halloween paraphilia from here as Tk Maxx always wins Geordie Goths best Halloween goodies. Without fail it delivered to its high standards. Also amongst the treasures, I've found a lot of tats as well. I like to find something that not overtly Halloweeny but it can be displayed all year long, I know I'm boring git. 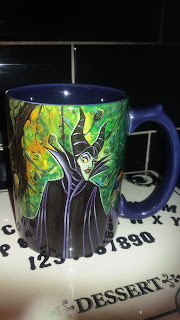 Here are my finds so far. 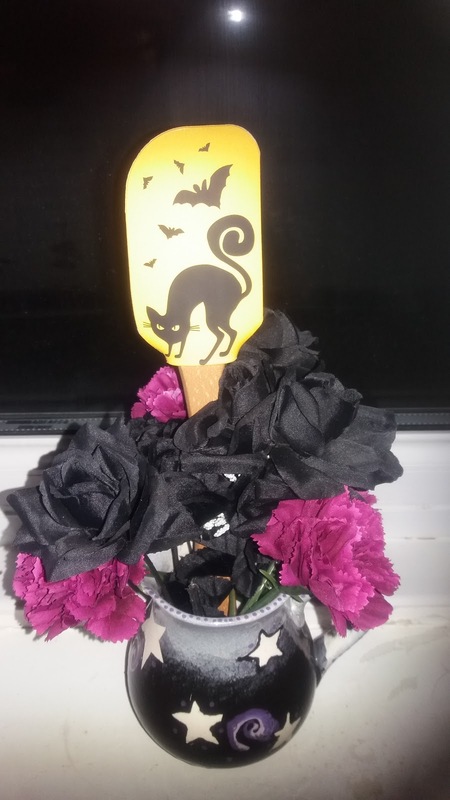 This was last year seemed the most coveted items an ouji desert stand. I finally got one. I found a Halloween spatulate with the black cat it's too nice to use I'm displaying it. I found this pumpkin with a little witch works great with my kitchen decor. 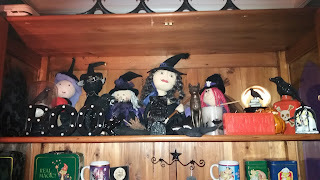 On display with her sister witches. 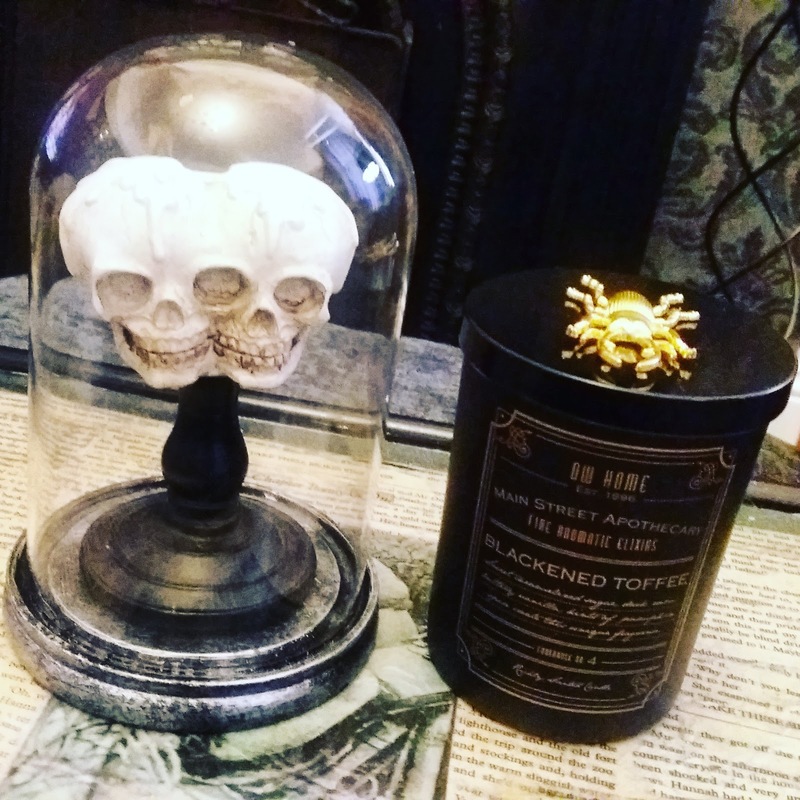 I loved the double twin skull and the candle, which are proudly on display in my bathroom. As, I want to create apothecary shop feel. 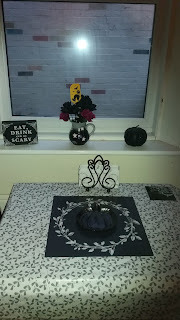 I found this kitchen mat ( Home Bargains) which complements the decor in my kitchen, it was the £1.79 budget. 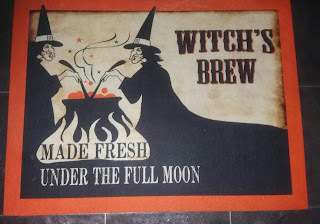 I love the more vintage style Halloween decor. I found the Maleficent mug on sale int Disney shop, however, the boyfriend has banded me from more crockery as we don't have any more room for stuff. 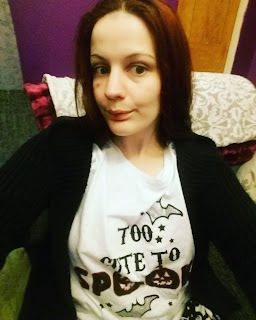 I even purchase some spooky Halloween pyjamas from Primark. Love the double skull in the cloche - what a find!!! Thanks. I think that's my favourite. That's a shame, never mind, hopefully, things may change. 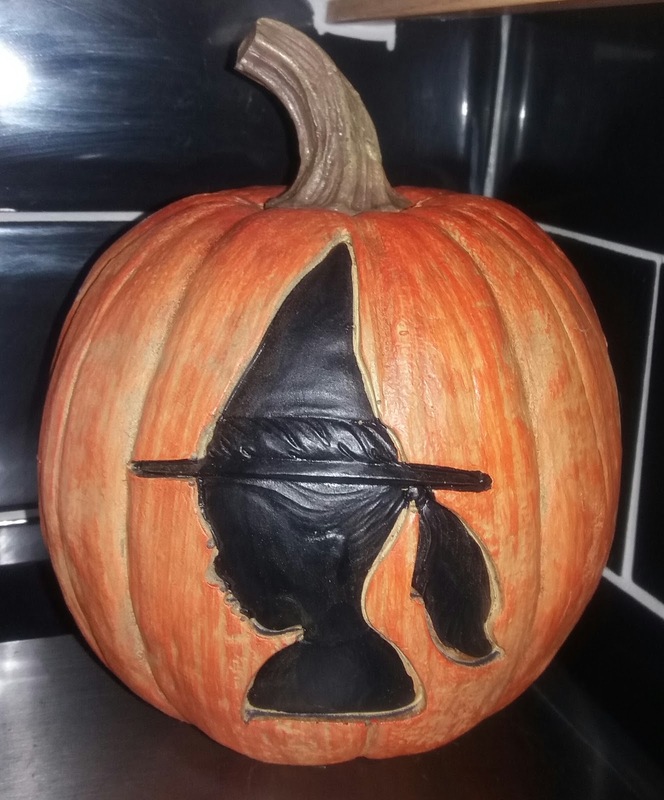 The head dress with the plastic skulls sounds amazing. I hope post it sometime. Wow, you hit the jackpot! 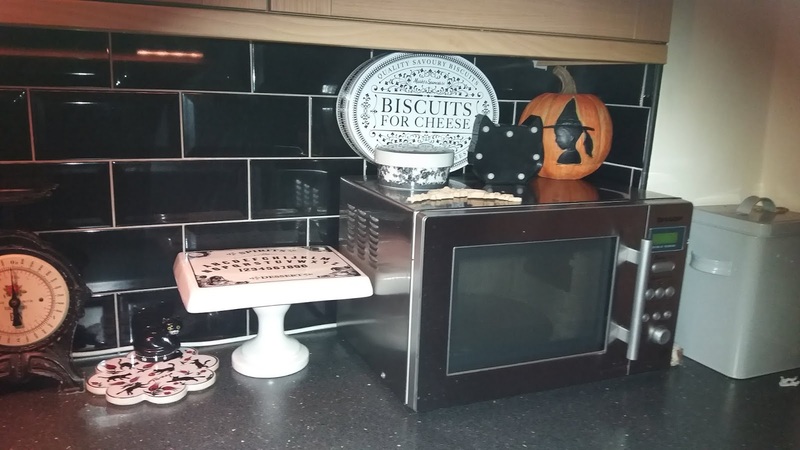 I especially like the ouija board dessert stand and the kitchen mat! Thanks. I would say there a couple of my favourites items. 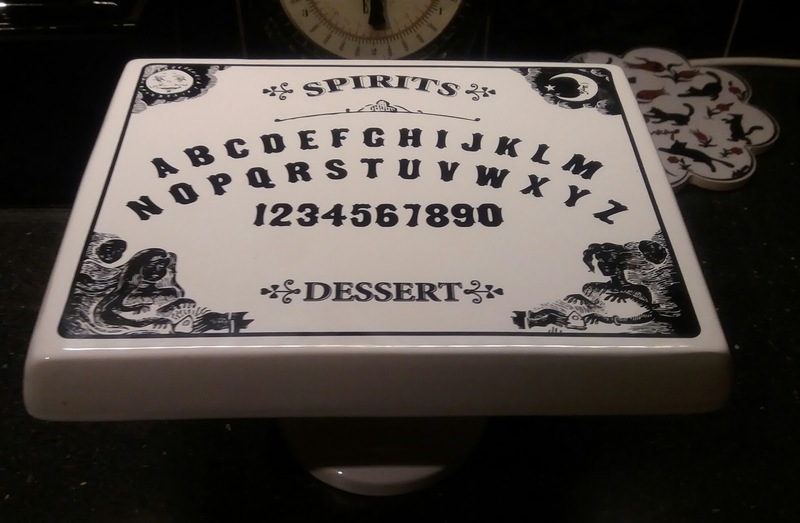 I love that ouija board dessert stand!! We don't have stuff like that in here, but I managed to find some neat glassware, salt and pepper shakers etc :) Also the twin skull is awesome! Thanks. I though Finland may have had TK Maxx. 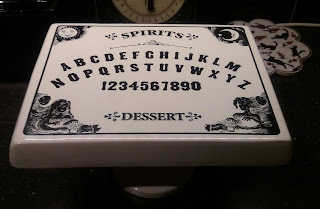 But, I definitely love the double skull and Ouija board dessert stand. I can't pick a favourite! Truly, I love everything! You really hit the jackpot!! Big Hugs! I think my favourite is the floor mat, which might sound daft but it is too cute. No, I love the mat, especially for £1.79 it just seem to in the kitchen. 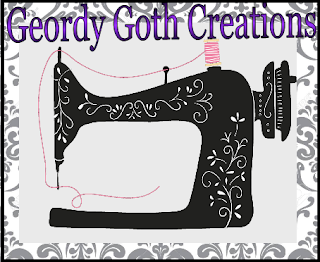 I love the twin skull too! The other skull displayed next to it looks quite lovely also. 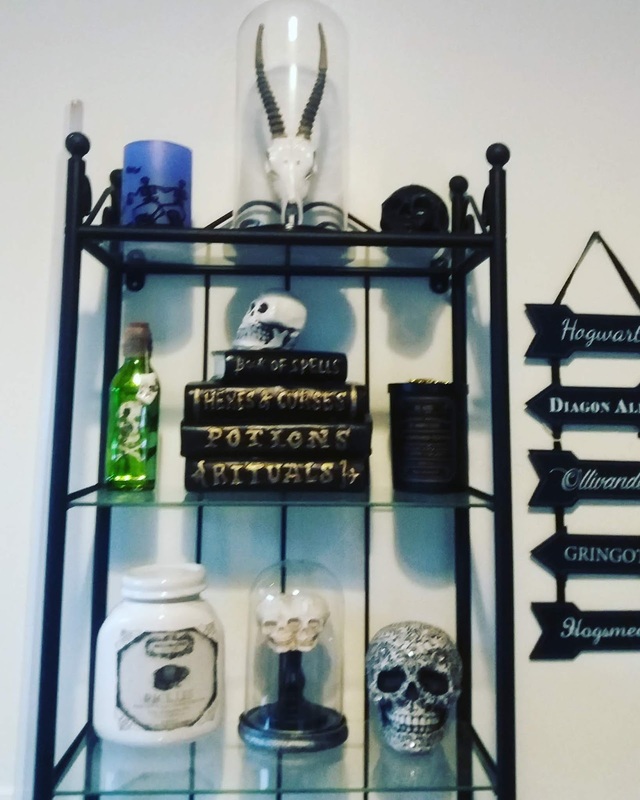 Thanks.I love my skulls in my bathroom.